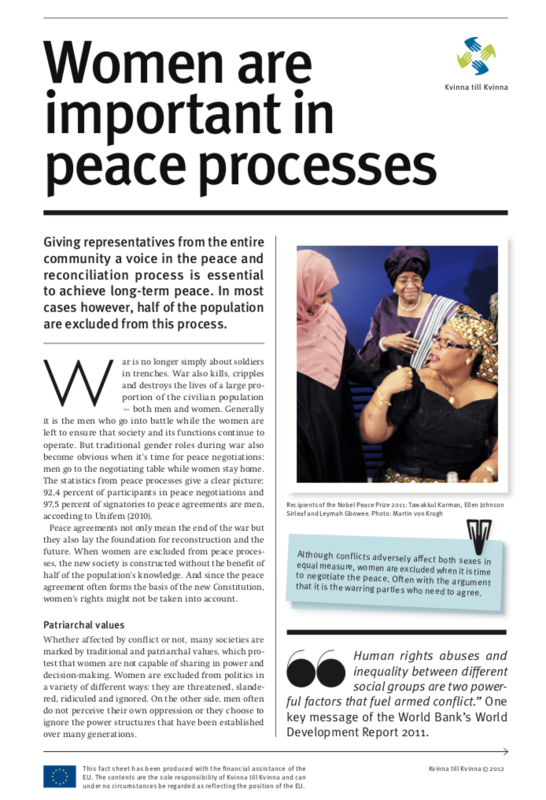 This fact sheet from 2012 focuses on women’s importance for peace processes. To achieve long-term, sustainable peace, it is essential to ensure representatives from all groups in society are given a voice in peace and reconciliation processes. In most cases, however, women – half of the population – tend to be excluded from these processes.